Dr. Nicole Thomson was born in Calgary but grew up in Pittsburgh, PA. Her family moved back to Calgary when she was in high school, and since then she has considered the city home. She received her dental degree (DDS) from Western University, Schulich Dentistry, in London Ontario. While at school she participated in multiple clubs and helped run the Docs Kids program which provides oral health care education sessions for kids and parents in the communities around London. Before that, she completed a Bachelor of Medical Science (BMSc) at Western University. After 8 years in Ontario for school, she decided to relocate back home to Calgary to practice. Dr. Thomson practices general dentistry and is very interested in all aspects of dentistry. She tries to help all of her patients feel comfortable and believes that good communication is essential to this goal. Outside of the practice of dentistry, Dr. Thomson loves spending time outdoors and traveling. She has participated in two outreach trips to India and Thailand. She was married in 2017 and spent the first four months of her marriage trekking through the Himalayas in India and Nepal with her husband. She enjoys hiking, skiing, golf, and yoga. 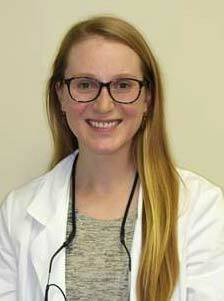 Call us at (403) 460-2200 to book your new patient consultation with Dr. Nicole Thomson today!